The table below summarises the further four submissions received by the Senate Committee. Copies of the submissions are available from the Committee’s web site. The transcripts of the public hearings make for interesting, if fairly lengthy, reading. Many of the questions, and responses, reflect a high level of interest and engagement with the issues. Most of the Senate Committee members come across as genuinely open to the perspectives of the various witnesses appearing before them, and concerned to understand the technical and legal complexities of the ‘gene patent’ debate, and the potential consequences of passage of the Bill for the various stakeholders. However, it is fairly clear that the main proponents of the Bill on the Committee are Senators Heffernan and Xenophon, whose views seem unlikely to be swayed by anything that anyone might say. Of course, they are entitled to their opinions, and to represent the interests of their constituents. But we cannot help but note that the few low-points in the hearings almost invariably involve Senator Heffernan, who on a number of occasions comes across as ignorant of the complexities of the patent law, unnecessarily aggressive in his questioning of those individuals appearing before the Committee who do not share his views and, at times, downright rude, arrogant and dismissive. Now, obviously words on the page do not always convey the real tone or full content of a face-to-face discussion, and we therefore accept that the Senator’s attitude may not be accurately represented in print. However, it is difficult to misconstrue the disrespect in the Senator’s denigration of Dr Anna Lavelle’s (of AusBiotech) title (on page 17 of the Friday transcript: ‘So it is a doctor of dust, not medicine’). Yet, we note, Senator Heffernan has no such trouble with Dr Palombi’s title. Overall, we have the impression from the transcripts that the majority of the Committee members will be inclined to proceed with caution, recognising that many submissions have supported the general intent of the Bill, but that stakeholders across a broad spectrum have raised concerns about its specific form, and potential ‘unintended consequences’. A number of questions were directed to the relationship between the ‘Human Genes and Biological Materials’ Bill and the ‘Raising the Bar’ Bill (see, most recently, Senate Patent Reform Bill – A Closer Look), and the extent to which the latter Bill may alleviate the concerns in relation to gene patents. Generally speaking, however, ‘Raising the Bar’ addresses different issues, proposing no amendment to the fundamental threshold test for patentable subject matter, while seeking to raise standards of patentability across all technologies. We were interested to note that while a number of witnesses testified that a higher standard of inventive step would help to prevent the grant of overly broad patents on genetic materials, there was very little discussion of the proposed enhancements to the utility requirements, which would also limit broad speculative claiming (see Patent Reform Exposed Part II – Usefulness). A number of witnesses took questions on notice, either because there was insufficient time to respond fully during the hearing, or because the nature of the questions required additional fact-checking and/or consideration. 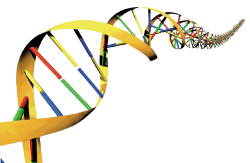 biological materials , in section 18, includes DNA, RNA, proteins, cells and fluids and their components. identical, in section 18, means a biological material which is structurally and functionally identical. This version of the Bill is the same alternative proposed by Dr Palombi in his submissions to the Committee (see ‘Late’ Submissions to Senate Inquiry on ‘Gene Patent’ Ban). We now await the Committee’s report, by 25 August 2011 (assuming that no further extensions are granted). As noted above, we think it likely that the Committee will wish to proceed with caution, and we would therefore be surprised if its report recommends that the Bill be passed by the Senate in its current form. The amended version was not received no more favourably that the original draft. The Committee may endorse the ‘Raising the Bar’ Bill, which was the subject of positive comments from a number of witnesses. It may also encourage the Government to accept at least some of the recommendations of the ACIP report into patentable subject matter, which was also discussed during the hearings (see ACIP Reports on ‘Patentable Subject Matter’). Finally, we note that as of today (1 July 2011) the make-up of the Senate changes, as the new Senators elected in 2010 take up their terms. This hands the Greens – not known for their support of biological patents – the balance of power, and is therefore a potential wildcard in the whole process. We continue to live in interesting times, with patent law enjoying a rare focus of parliamentary attention!